Featuring a chronograph, automatic tourbillon and double micro-rotor, the new IO takes up multiple challenges in one unique creation. Its minimalist finish focuses on the essence of watchmaking, powered by an ultra-flat manufacture calibre housed in a rose gold case. Ever since it was founded, Hysek has been setting itself the challenge of reinventing traditional watchmaking and opening up new horizons – on both the technical and aesthetic fronts. The goal is not simply to stand out from the crowd, but also to carve out a path for an innovative, creative twenty-first century – one that does not merely imitate past triumphs, but rather draws inspiration from them to produce something new. This ethos guided the master watchmakers of the Enlightenment, and it still drives Hysek today. The IO Chronograph Tourbillon embodies this yearning. At its heart lies one of the most mechanical complications, the most difficult to produce and yet one of the commonest: the chronograph. What's more, it's regulated by the trickiest escapement to create: the tourbillon. And to orchestrate them, one of the most demanding aesthetic approaches has been adopted: the ultra-flat skeleton movement. Hysek has chosen to reveal the complexity of the chronograph in all its glory. The manufacture has laid bare its mechanism, thus seeking to restore the complication to its rightful place in the watchmaking hierarchy, whereas most timepieces of this type concentrate on performance alone. The Maison has developed an original approach to making this vision reality. Hysek's IO Chronograph Tourbillon boasts an opal white dial, the workings of which can be viewed only through its three openings – the chronograph, tourbillon and micro-rotor. 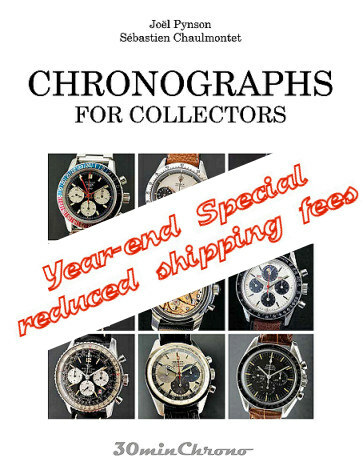 At 3 o'clock, the chronograph marks out 45 minutes, drawing attention just as much to the time being measured as to the workings behind it. Hysek has united technical and aesthetic aspects in a single opening, thus endowing the chronograph with a compelling sense of power and coherence. 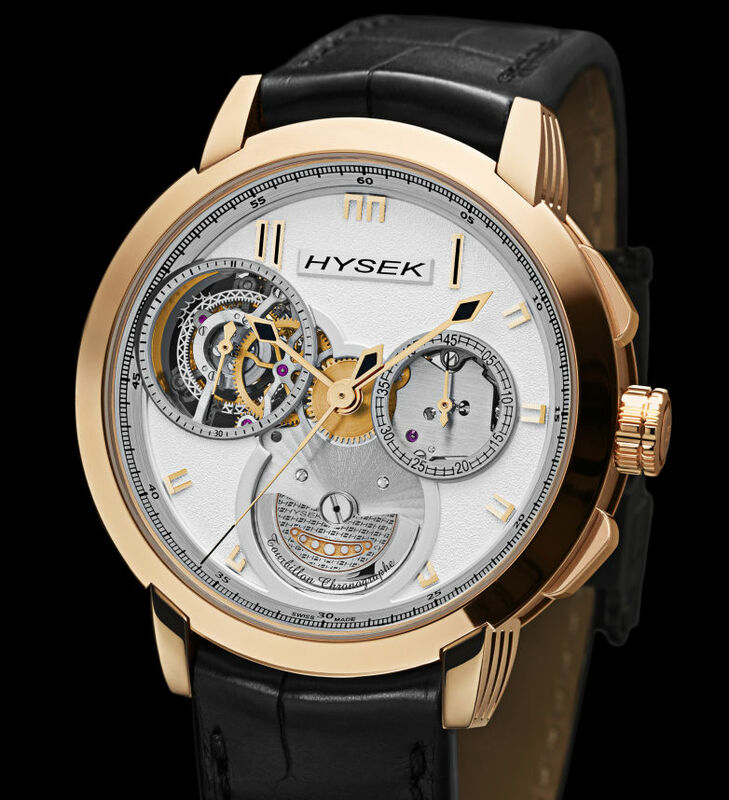 Hysek has positioned a skeletonized flying tourbillon at 10 o'clock. The choice of this finish is anything but the fruit of chance: echoing the manufacture's approach to the chronograph, it's specifically designed to provide dizzying views down into the intricate escapement; an opportunity to delight in the mechanical innards of the tourbillon even as you watch it mark out the seconds. This design ethos is similarly present in Hysek's hand-crafted finishing. The openwork tracery on the tourbillon appears literally to be suspended from a titanium frame, taking the theme of transparency to its apogee. Hysek has sought to make the 360-part calibre as slim as possible. To achieve this, the manufacture has removed the oscillating weight, making room for the micro-rotor. The ‘double yet continuous' design of the latter has become a hallmark of the brand. Double, because it has two weights – one beneath the dial and one at the back. The first is made from 22-carat rose gold, the one on the back from platinum. They are continuous, too, because both are located at 6 o'clock and connected by a single shaft. This Hysek invention saves a great deal of space whilst offering winding capabilities as powerful as those of a traditional oscillating weight. As a result, the IO Chronograph Tourbillon has an automatic calibre that is only 13 mm thick – and a 48-hour power reserve. To clad the piece, Hysek has drawn on the design codes that have forged its identity. At the top of the dial, only the 11 and 1 are shown, just as they are to be found on most of the timepieces ever produced by the manufacture. While the “3-6-8” tri-compax layout is as one would expect, the arrangement of the openings has been completely revisited. The tourbillon is located at 10 o'clock – an unusual position, but one that gives the IO an elegant poise. Lastly, the manufacture has once again used its Rose des Vents compass rose finish – one of the most delicate to fashion, and completed wholly by hand. Here, it can be discerned on the tourbillon cage and on the plate visible on the dial side beneath the micro-rotor. All the angles and bridges are hand-polished and the surfaces guillocheed. For the colours, Hysek has gone for a sober look, with a 45 mm case made completely from rose gold, mounted on a black or chocolate-coloured alligator strap with a fold-over catch. The IO Chronograph Tourbillon is available in a limited edition of 88 numbered pieces.